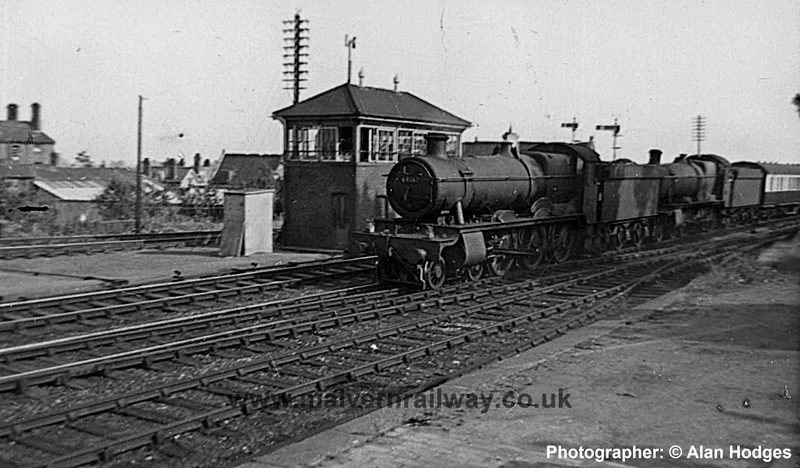 This week's post comes courtesy of Alan Hodges, who has sent me a batch of pictures featuring Great Malvern signal box. 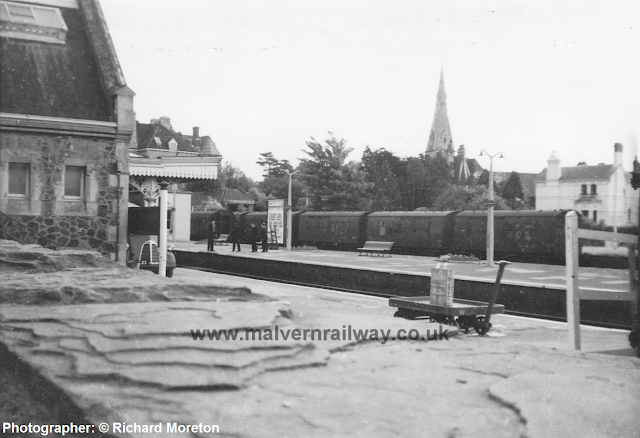 The picture is something of a rarity as it shows a double-header in Malvern, but I also find the sheer number of tracks interesting - Great Malvern station was much busier back then! Alan is also the first to respond to the Request List I set up to try and fill some gaps in my coverage of Malvern's historical railways. There are still plenty of missing pieces, however, so if anybody has any shots (particularly of the section north of Hanley Road!!) I'd be very grateful to see them. 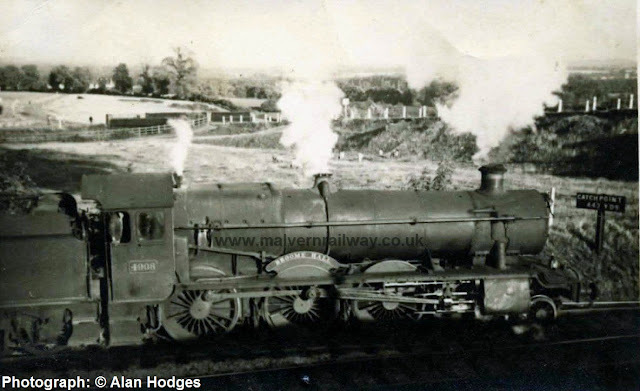 6916 'Misterton Hall' at Great Malvern, date unknown. A new post this week, thanks to a contributor who captured an unusual occurence at Great Malvern station over 55 years ago. 'These were taken on 16th June 1961, when a train of Southern region horseboxes, coach and well wagon with a carriage were unloaded at Great Malvern, all in connection with the Three Counties Show. This was the only occasion when I saw the end-loading dock on the down side in use (although I believe that in the mid-1950s when Sanger's Circus came to town the elephants got off there). At that time, it was possible to walk from the down-side exit along an unsurfaced extension of Thorngrove Road, turning left by Imperial Garage and coming out in Manby Road. There was a gate for vehicles unloaded from the loading dock to exit via this unsurfaced road. I suppose in the days of the water-cure this could have been a regular occurence. Southern Region horseboxes in the Midland bay platform, June 1961. 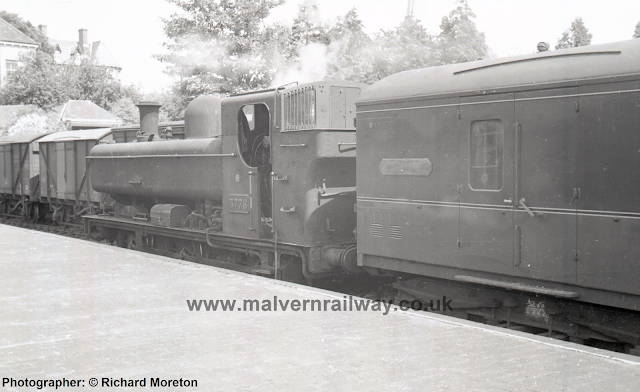 Southern Region horseboxes on the up line at Great Malvern, June 1961. 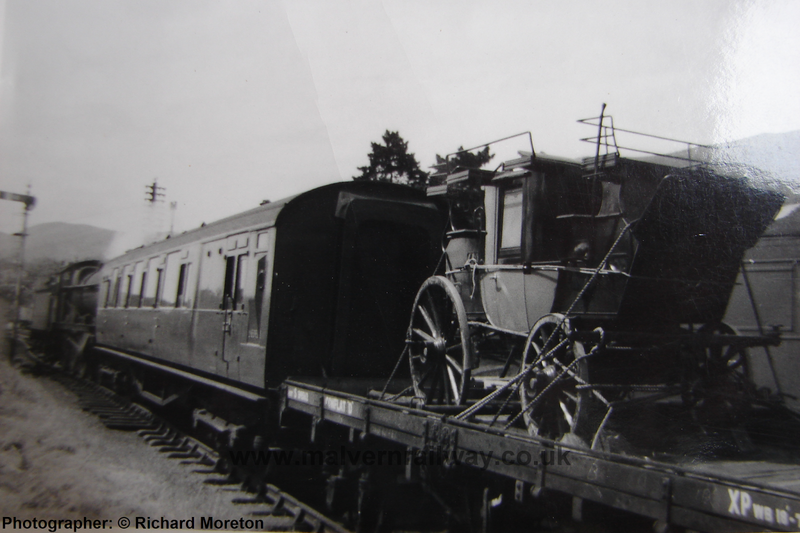 Southern Region horseboxes departing southwards, June 1961. 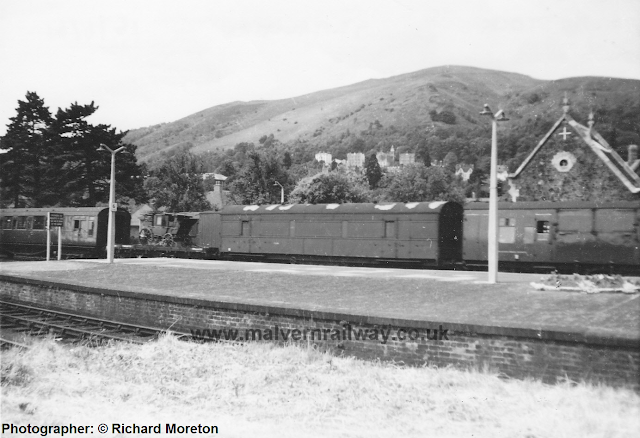 The next shot is of a 'pigeon train' waiting in the Midland Bay at Great Malvern. 3738 on the Wolverhampton - Great Malvern pigeons trains, recessing while the birds were released.